For my confirmation, I took the name “Patrick”. I’ve seen the Chieftans and the Pogues. I used to say my abuelito Cristino was Irish, because of his blue eyes and his fondness for drinking. He was a cantinero, after all. So here’s to our first downtown St. Patrick’s Day! First, Casey’s. Way too crowded, a bunch of young drunks. We left, and went to Hank’s. Our first time, though we’d pass by there hundreds of times before. 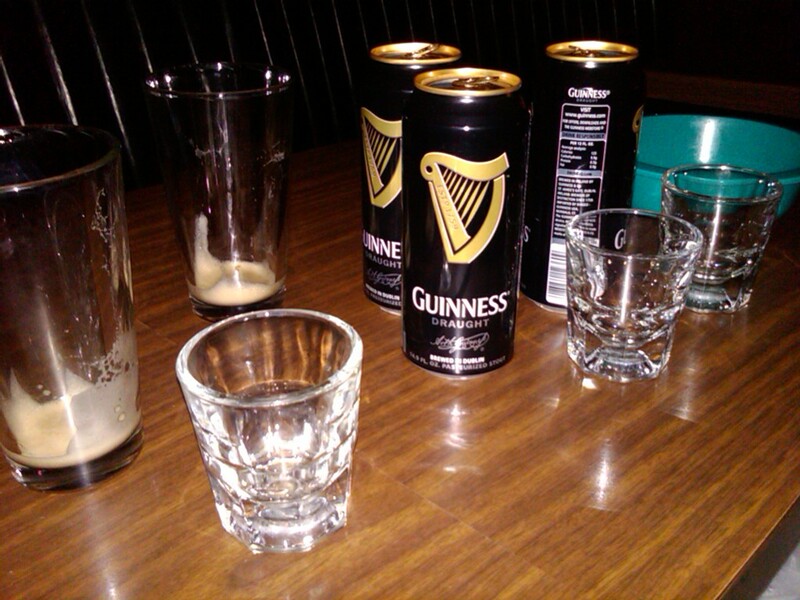 A bit of a dive, but comfortable booths, a jamming jukebox, and Guinness in a can and nice big shots of Jameson’s. I ran to Big Wang’s, got the corned beef sandwich to go, and had a good time at Hank’s. Great corned beef, Louis! But it wasn’t enough. The night, still young, and so were we…for the night. Wasn’t L.A. Live doing something, just ’cause they canceled the parade? A long walk. The sign said: 12 noon to 3 pm. Too late. Walked up Figueroa to Riordan’s Tavern. Who hasn’t been to the Pantry? It’s right next door. And there was a trio playing jigs. And the bar was serving black and tan’s and Jameson’s. And it was the perfecto end to our St. Patrick’s day in L.A. They say the Irish are the Chicanos of Europe. Or Chicanos are the Irish of the Americas. Either way, I agree. Tough times? Good drinks, good food, familia and fun. That’ll do, por lo pronto. 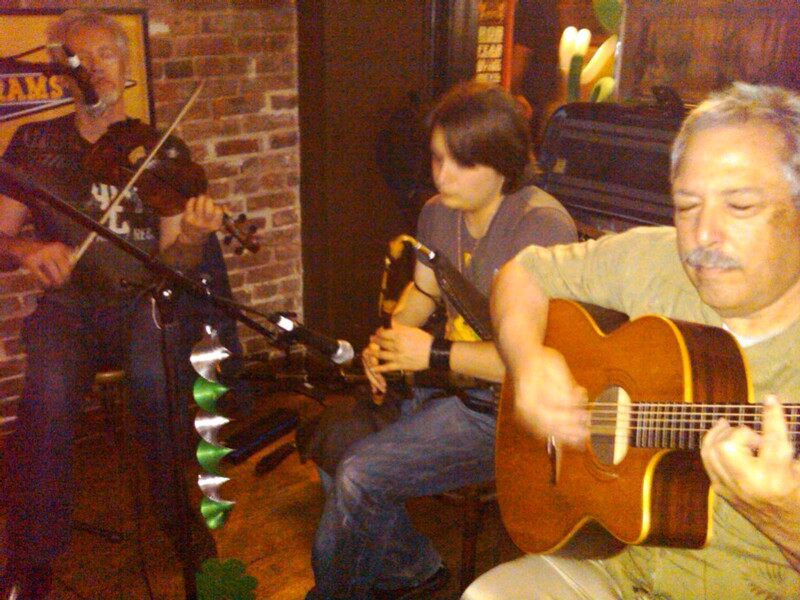 At Riordan's Tavern on St. Patrick's Day. How do you say "Salud" in Gaelic? My daughter turned 18 on Friday, her first birthday since we moved downtown. Not every year, but most, we throw her a typical, for us, fiesta de cumpleaños, inviting her grandparents, aunts, uncles, godparents, brothers, sisters, cousins, nieces and friends. The places we’ve lived in suburbia were large enough to accommodate a crowd: A garage filled with folding tables and chairs, a tarp or two, a couple coolers for drinks, plenty of running around room for little kids and hiding places for bigger kids. Our pantry held paper cups and plates, plastic utensils, the big jar for the agua de jamaica, serving stuff, aluminum pans, etc. Large kitchens to cook up the enchiladas, tostadas, rice, beans, salads, salsas, appetizers, cakes. Now, with space at a premium, we needed to come up with a different plan. Friday, her birthday, we invited my parents, in-laws and my brother, who is my daughter’s godfather, to meet at at our loft and have dinner at a restaurant. No question: Mexican. Since we’ve been here, we’ve tried a few places: Provecho, Rivera, Adoro, Ensenada, Rosa Mexicano, CASA … most within walking distance. But by far, our favorite is Yxta, a bit of a drive, but nothing too strenuous for our parents, who are in their late 70s and early 80s. They’d already made it up the 110 from Wilmington, so a short cruise east on 6th Street wouldn’t be too taxing, but entertaining and informative. Yxta: Truly good, authentic, unfussy comida Mexicana, with great drinks, service and ambiance. A leisurely dinner from about 4 to 6 pm before the crowds got there. Ordered and eaten: enchiladas suizas, carnitas Michoacan, their special chile relleno, tacos de machaca, horchata, Chupacabra beer and a blood orange margarita for my wife. Flan and capirotada for dessert. Stories of my daughter’s namesake, my flamboyant Tia Alica, kept everyone entertained. Her grandparents showered my daughter with words of encouragement and praise. She basked in their love. Tummies were tight that night. Meanwhile, back in L.A., my wife and Alicia were getting ready for her second party: A gang from her school were coming over at 2 pm. On the menu: Take out from Porto’s Bakery in Glendale About 15 kids showed up at around 3. They played board games, hung out, watched videos, ate and hung out some more. When I and the El Paso contingent showed up, the party was in full swing. I helped unload, settle in, and took off to a reception at the Mexican Cultural Institute at Olvera Street for a photo exhibit for Luis Garza. I’m on the board and acting director and spent a lot of time that week sprucing it up. The couple shots of tequila and can of beer made for a restful night. The next day, oldest son Michael and family and daughter-in-law Lin joined the steadily growing household for a third party. We had plenty of leftovers from Porto’s (except for the papas rellenas), and augmented the meal with tostada fixings, beer, wine and the fruit tart from Porto’s. Our place is already pretty child-friendly, with a couple basket of toys and books for kids and room for adults to just hang out. 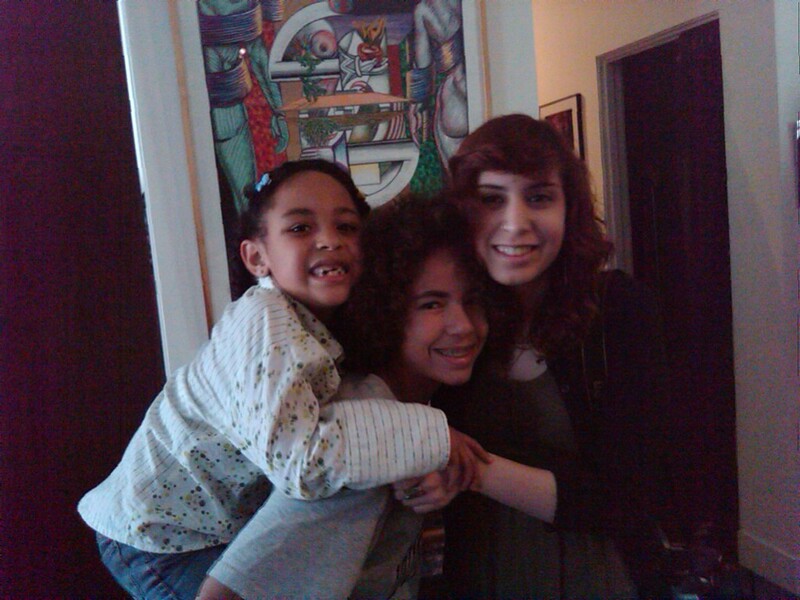 The count: about 5 girls between 2 and 7, 2 tweens, Alicia, and 7 adults. And three dogs. Loud, lots of music (girls liked dancing to “I like to move it”, over and over. Tweens were OK talking video games. Adults caught up with adult stuff. The challenge: Where to hang the obligatory piñata? The exposed pipes in our loft would probably break, the metal shading on the roof couldn’t handle it, not sure how Grand Hope Park would handle our mob … the basement would have to do. Samina and I found a well-braced exposed pipe and hung the paper maché ladybug for a good whacking and it worked. Maybe the first piñata party in our building? Who knows. We did it, though, Alicia scored, our guests were happy, she’s a grownup now and a new tradición begins. I was walking with my wife home from work — the library — at 8:15 pm last night. Going south between 7th and 8th, just past the Rite Aid , a young lady was walking in the same direction right ahead of us. She seemed lost, looking side-to-side, and suddenly rotated towards us, looking frantic and asking where was 6th and Main. She had gotten off the 7th Street Metro station to meet up with a friend at a bar called “Varnish” and was told it was only a couple blocks away and she … was … lost. We gave her directions. I asked her if she wanted a ride. My wife looked at me funny, but she understood. No time for a young lady … her name was Marie Helene, she’d come up from South Gate, but was really from France, was trying to get a job as a 3D animator … to be walking through the “historic corridor” at night. My daughter brought down our card key to the garage. We got in and drove to the address she was given, which turned out to be Cole’s. She thanked us, gave me her card and got out of the car. Driving back, my wife and I talked about how strangers seem to gravitate to us for directions, assistance, advice, etc. Must be because we are comparatively small and non-threatening. When we got back to our garage and parked, I looked into the back seat and there was her cell phone. I walked my wife back to our loft and took off to Cole’s. As I drove out of the garage, her phone rang. It was Marie Helene. She forgot her phone. I told her I was on my way. She thanked me. A minute later, her phone rang again. It was the person she was supposed to meet. I didn’t catch her name, but she was wondering why I was answering Marie Helene’s phone. I tried to explain the situation … she was lost, we gave her a ride, she forgot her phone, I was driving down to give it back to her … but the person on the phone was pretty rude … why did I have Marie Helene’s phone, where was she, why wasn’t she at the predetermined location … until I told her to just wait until I got there. The street was packed, no parking anywhere near Cole’s. I waited for the light to change on 6th Street and Los Angeles, considering parking on 6th Street but figuring out why nobody else was parked there, when someone banged on the window. It was Marie Helene, looking relieved. I gave her back her phone, told her that her friend was waiting and calling and worrying. “Thanks”, again, and I drove back home to the quiet of our loft. As ex-suburbanites used to having a yard and plenty of space to roam, having dogs downtown presents certain challenges. We moved into the South Park Lofts because they are dog-friendly. 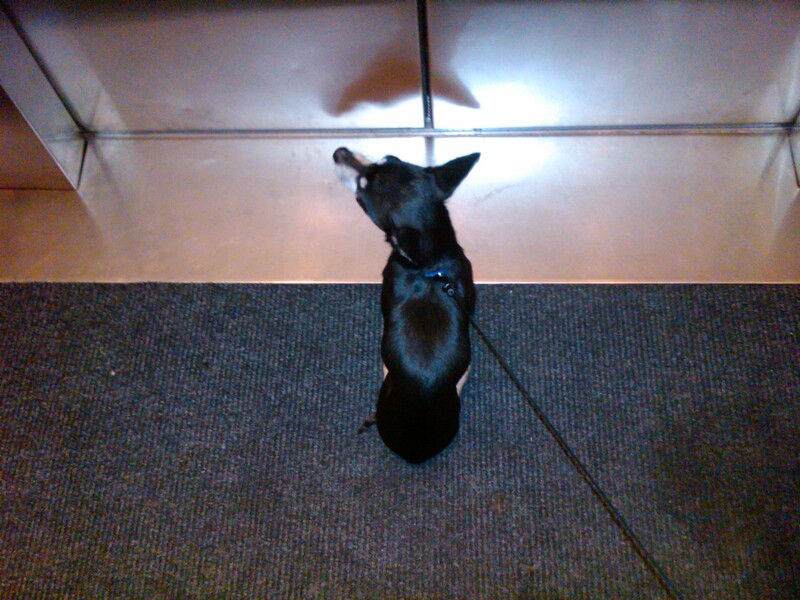 But I don’t know if it’s our dogs — Mr. T and Ricky — who aren’t being friendly or it’s the dogs we meet on walks, in the lobby and, particularly, in the elevator, who haven’t exhibited much sociability. Loud growls are one thing, but there’s been some flat out brawls in the halls and in the dog-relief area on the roof, where I’ve had to strain to pull these canine cutthroats apart from much larger mutts and purebreds. Thank god these two terrors are only (only?) chihuahuas. If they were any bigger and meaner, these perros would only be able to go out at night. Years and years ago, when the L.A. Weekly was fat and our forays out of our hometown of Wilmington were just beginning, a particular event ad caught our eye…Brazilian Carnaval at the Hollywood Palladium. It took us a couple years to get the courage to finally do it, and once we went, we were hooked. 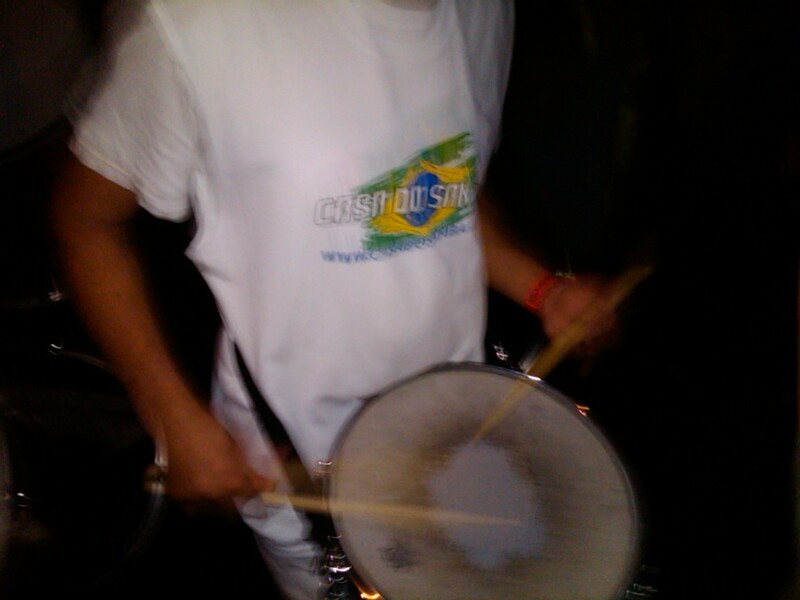 Sambistas, baterias, wall-to-wall Brazilians, it was a non-stop rhythm and dance and skin-fest. Beautiful women and men dancing non-stop. Infectious music, pounding drums, conga lines. Whew. Produced by a woman named Maria Lucien, who co-MC’d along with a big Brazilian man, they kept the party going, bringing on the dancers, announcing the costume contest, exhorting the crowd…calling out the Latinos, Mexicanos, Japoneses, Brasileiros!!!!!! It come to an abrupt halt at 2 am, and we’d stand there, sweat-soaked, grinning like mad, and making plans for the next Carnaval. Sometime in the late 90’s Maria’s daughter and sister died in a plane crash. She held one more Carnaval, in honor of her angels. Then the next year, no Carnaval. 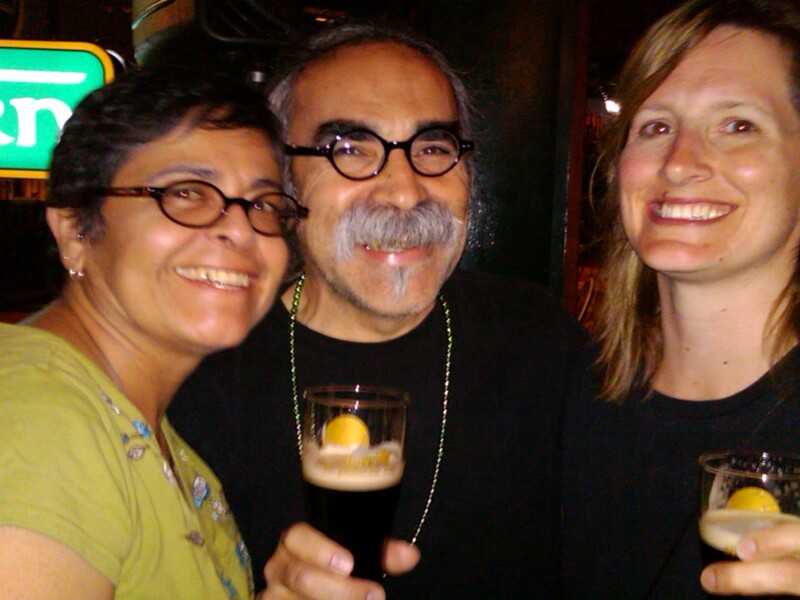 Ten years ago, Patricia Leao began her Brazilian Nites Carnaval. The first one we went to was at the Queen Mary, and it was OK, but the vastness of the venue didn’t catch heat. Finally, a couple years ago, Carnaval returned to the Palladium. Smartly produced, lots of sponsors, very well-choreographed, great music, beautiful women. A bit more tame than Maria’s, but we were grateful Carnaval was back and my website, LatinoLA, was proud to be a sponsor. 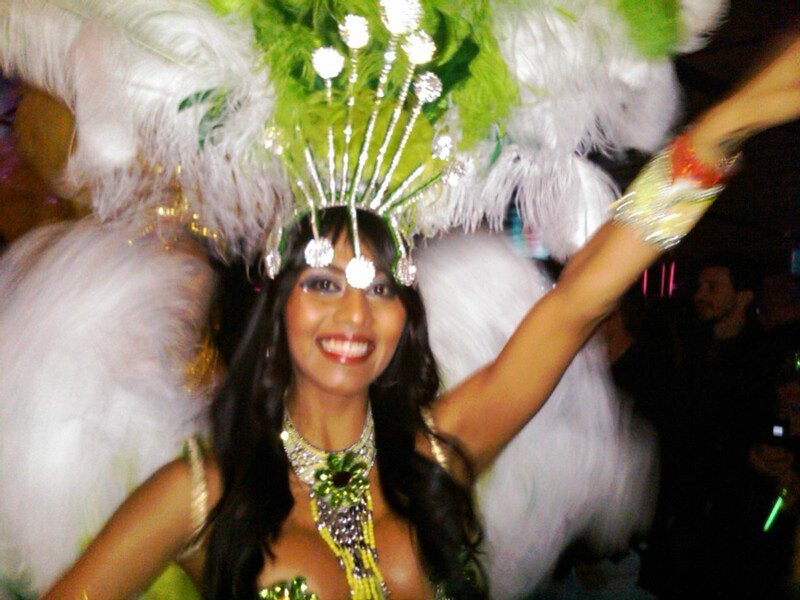 This year, the 10th Annual Brazilian Nites Carnaval was at Club Nokia in the L.A. Live complex. LatinoLA was again a sponsor. My son Michael and his friend Lashonda met us at our home and we walked the four blocks to the venue. A great beginning, with the Joany & Brazilian Nites Samba Dancers weaving through the nightclub, followed by the drummers of Casa Do Samba Mila Samba School. They made in onstage and the samba marathon began. Groups of women in different costumes — some feathery, others glittery, all barely-there — came out at various times. The second group, Chalo Eduardo and Brasilian Beat, took over the stage and their synchronicity and virtuosity on five pieces of percussion and the occasional guitar were astounding. More dancers, more costumes, a samba ballerina, percussion frenzy and we wanted to dance! Here’s the problem. The setup at Nokia Live is a little strange. It’s half nightclub, half concert hall. The place closest to the stage was sectioned off for those with higher ticket prices, as were the balcony seats. There were groups dancing and singing along, but not en masse or with any real passion. The vibe that ruled at the Palladium … the raw energy of people crashing into each other while dancing, or snaking through the crowd in multiple conga lines going on at once, gazing at the sambistas performing on the catwalk trying to outdo each other, brushing up against strangers and smiling … that was missing. At the Nokia, the sound was fantastic, we had a great sight line to the stage, but the participatory aspect of Carnaval … that we were all getting our sins taken care of before Lent began … together … just wasn’t there. When the headliner came on, Trio Electrico Armandinho, a guitar-lead quartet, they started their set with a psychedelic rendering of Ravel’s Bolero. We figured it was time to go, even if was just 12:30 am. After sticking around for a couple more songs, including an instrumental of Santana’s “Smooth”, we knew, and before long were walking down to Olympic listening to foul-mouthed guys trying to pick up some drunk girls. A little tired and tipsy, somewhat let down, a feeling of saudade for Carnaval’s past. My wife works at the library. She has been there for quite a long time. I used to work at the library, too. We both started in the Wilmington branch, first me, then her. After I left in 1984 from central library (before the fire), she took the civil service exam and has been working at the library since, moving up. 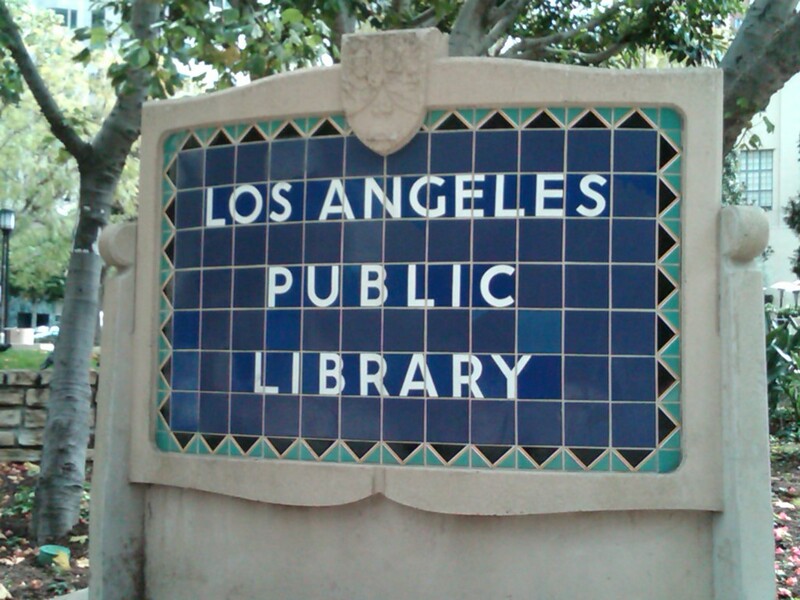 The city of L.A. is undergoing a budget crisis and like all other departments, the library will be losing people (through early retirement and layoffs). It is not a pleasant environment right now and not just because of that. It has always a been a challenging place to work — transients, drug use, surly patrons, other employees, uncertainty — and it’s getting worse and more stressful. I try to walk her to work and back every day. It’s the least I can do. Mexican Food in Downtown L.A.